If you look into structure of a plugin for Joomla 2.5, you’ll find certain files. The first file is definitely a xml file. The xml file contains information sabout the plugin, its author, plugin’s description and files associated with the plugin. This file also defines the plugin parameters or options for the plugin. As you can see, we have defined the plugin’s name by <name>..</name> element. Under <files> element we have listed the required files for the plugin. In this case, we have listed two files helloworld.php and index.html. Between these two files, note the plugin="helloworld" attribute for helloworld.php file. It denotes that helloworld.php file is the main file for helloworld plugin. Note the construction of this file. As you know, we have used defined('_JEXEC') or die; to prevent direct access to the file. Later we have defined the class which extends JPlugin class. Later in this chapter, we will be learning about the parameters used in the function. The last file we need to create is one named index.html. This file is just to prevent directory listing and therefore you don’t need to place any code in the file; simply need to create it. 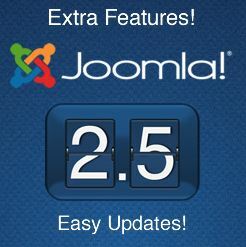 As we have created these files inside Joomla! installation, j25dev/plugins/content/helloworld directory, we can discover the plugin and install it. For installing it, in Joomla! administration panel, Extension Manager and click Discover tab. If you don’t see the helloworld plugin listed, click Purge icon and then click Discover icon. That shows the plg_content_helloworld plugin listed. Select the plg_content_helloworld plugin and click Install icon in the toolbar. That will install the plugin. If you have created the helloworld plugin folder elsewhere, you can just compress the folder and install it through Extension Manager as any other plugin. 2 extensions that need to be part of Joomla! ©2015-2019 Suhreed Sarkar All rights reserved.